This week, United Way kicks off its 3rdAnnual Social Innovation Competition with a week of online voting before the live pitch event on Tuesday, April 16. The stakes are high — local social entrepreneurs are vying for up to $225,000 in funding — with awards given for the most online votes and the best pitches to a panel of judges and live audience. But to understand what’s truly at stake, all you have to do is talk to past winners. The effects go beyond mere money and are felt long after the last audience members go home. Founded in 2009, ScholarShot helps address the fact that 90% of at-risk students enrolled in Texas colleges drop out before they get their degrees. The program provides students with trusted full-time academic managers who assist with degree plans, create budgets, monitor progress and offer emotional support. With a ratio of one advisor to 50 students, the model has a 96% success rate for degree achievement. And participants can receive up to $6,000 in financial assistance that enables them to graduate with less debt. Hooper’s pitch was persuasive enough to convince the panel of judges to award ScholarShot the top prize and title of “Social Innovator of the Year.” And since then, the organization has seen the benefits. What’s more, Hooper says, ScholarShot made good on that promise. With the prize money, the organization has currently added one academic manager — with plans to hire one more — and over 100 more students to the program. If you ask Jayda Batchelder, Founder and Executive Director of Education Opens Doors, just participating in the pitch was beneficial. Through their Roadmap to Success program, Education Opens Doors works to equip at-risk students, beginning in middle school, with the knowledge and skills to understand and pursue their options after high school. The team trains and supports teachers who embed the comprehensive college and career curriculum inside the classroom, which helps schools cultivate a college-going culture. Since being named the 2018 Audience Favorite, the organization has continued to expand. This year, the program is serving over 12,500 students. And with the $25,000 in award money, the organization was able to continue the development of their virtual platform, a learning management system that will enable them to expand access to thousands of more students. When the Akola Project won the top prize in 2017, Brittany Underwood, Founder and CEO, viewed it as an affirmation of the organization’s efforts. Founded in 2006, the jewelry brand provides work opportunities, training and social programs that empower women in Uganda and Dallas to create meaningful change in their communities. Each piece of jewelry is handcrafted by one of 500 women in crisis who are working to redesign the future of their families. Since the competition, Akola has experienced incredible growth. They’ve directly distributed over $800,000 in wages to women in crisis. And the Akola model has expanded into retailers, launching in Neiman Marcus, Saks Fifth Avenue and Nordstrom, as well as a chain of lower-end retailers through a sub-brand they created. Underwood is also thankful for the community of supporters that have surrounded the organization since the pitch. When Bonton Farms won the $25,000 Audience Favorite award in 2017, Founder and Executive Director Daron Babcock felt an incredible sense of gratitude. And it had absolutely nothing to do with prize money. This urban farming organization is transforming the impoverished neighborhood of Bonton in Southern Dallas by providing healthy food, nutritional programs and employment opportunities. And since the competition, they’ve been more than busy. They’ve opened up the new Market at Bonton Farms, which offers neighbors a place to buy farm-fresh produce, a café serving healthy chef-inspired meals, and a variety of enrichment classes on everything from healthy cooking to financial management to parenting and more. They’ve added 18 new jobs and created new internship possibilities for people in the neighborhood. Bonton Farms is also building affordable housing and creating a pathway for people to have a safe, dependable place to stay on their journey to self-reliance. And they’re launching a private school for some of the more financially challenged kids in the neighborhood. Babcock gives a lot of credit for that progress to United Way. Launched in 2013, United Way’s Social Innovation Accelerator helps encourage the creation of bold new solutions for age-old community problems. The program invests in local initiatives that address issues of Education, Income and Health, providing the critical resources these ventures need to grow and succeed. A 2017 collaboration with Accenture infused the program with even more resources, expertise and an additional $750,000 in financial support. This year, five local organizations will compete in the 3rdAnnual United Way Social Innovation Competition for a chance to win $225,000: My Possibilities, Rosa Es Rojo, Student Success Agency, Readers 2 Leaders and POETIC. 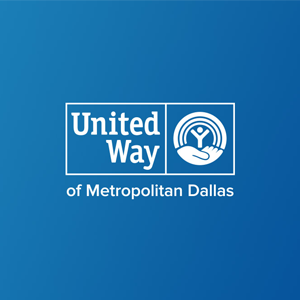 The first $75,000 awarded by online vote, so visit UnitedWayDallas.org and cast your ballot today. The Pitch event will take place Tuesday, April 16 at Gilley’s Dallas. Tickets begin at $35 and can be purchased at UnitedWayDallas.org/Innovation.